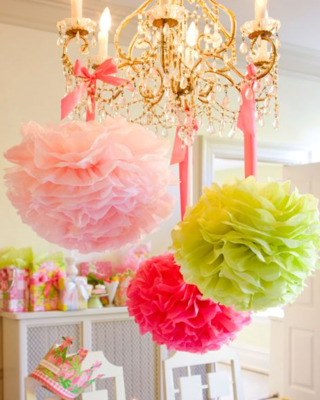 Again, a few weeks ago when I was trolling Etsy for some crafty ideas for my St.Patrick's Beer Tasting Party, I saw a seller featured on the homepage who specializes in the cutest tissue paper pom garlands. 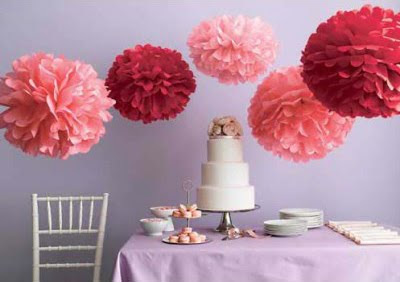 I had actually made a few tissue paper poms for my wedding (that I never ended up using) after being inspired time and time again by wedding blog favs Snippet and Ink and Style Me Pretty vintage and rustic weddings. There is just something I find so charming about little handmade details, like my scrap paper pennant, that you just don't get with store bought decorations. 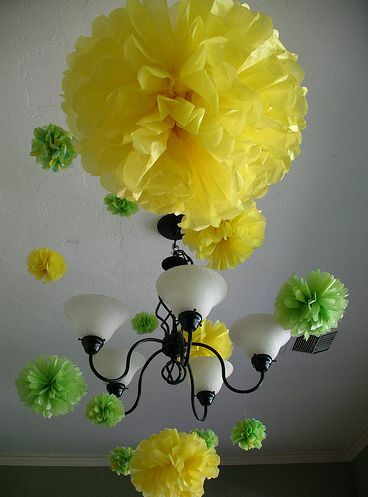 When I came across the tiny pom garlands, I thought why not make some bigger poms to hang from our basement ceiling? And since it's a drop ceiling, it'll be easy to hang them without having to leave pin holes or chiped paint behind. I googled for the tutorial I used back in 2009 - Martha's of course (here)! 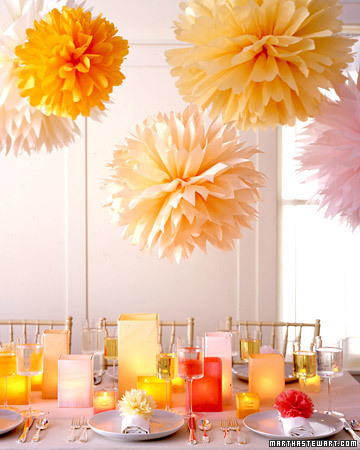 In the mean time, here's some pretty eye candy of the easy peasy to make paper poms, enjoy! 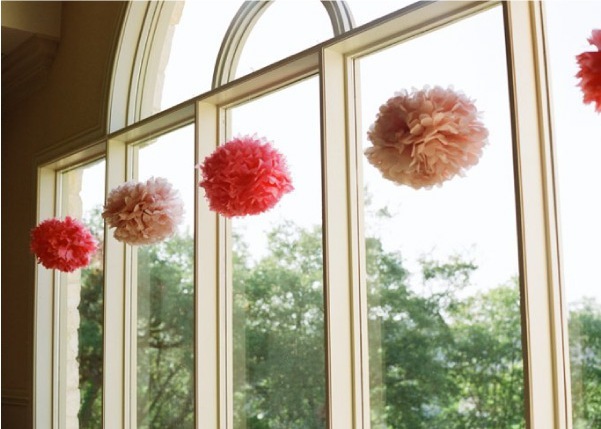 I love the pom poms too, and attempted to make some at one point before my wedding...along the way I discarded the plan. All of those pictures are so cute, and some of them are really elegant (epsecially that last picture). I can't wait to see how yours turn out! This is such a fun idea, whether for a wedding...or say a St. Patrick's Day Party! Love it girl! So many pretty pictures! 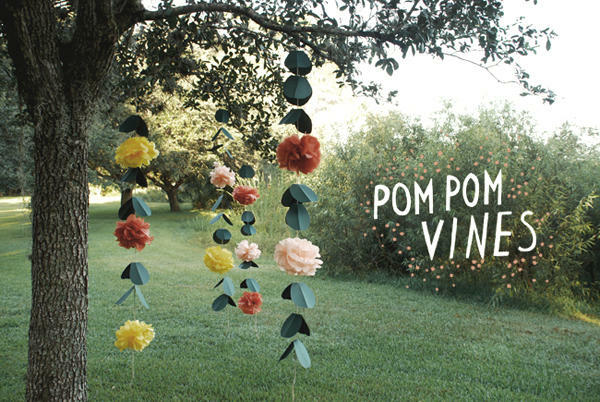 I love the poms. It's one thing I decided not to attempt for my wedding. I couldn't hang anything in the venue and I'm glad. I think they would driven me nuts on a large scale. 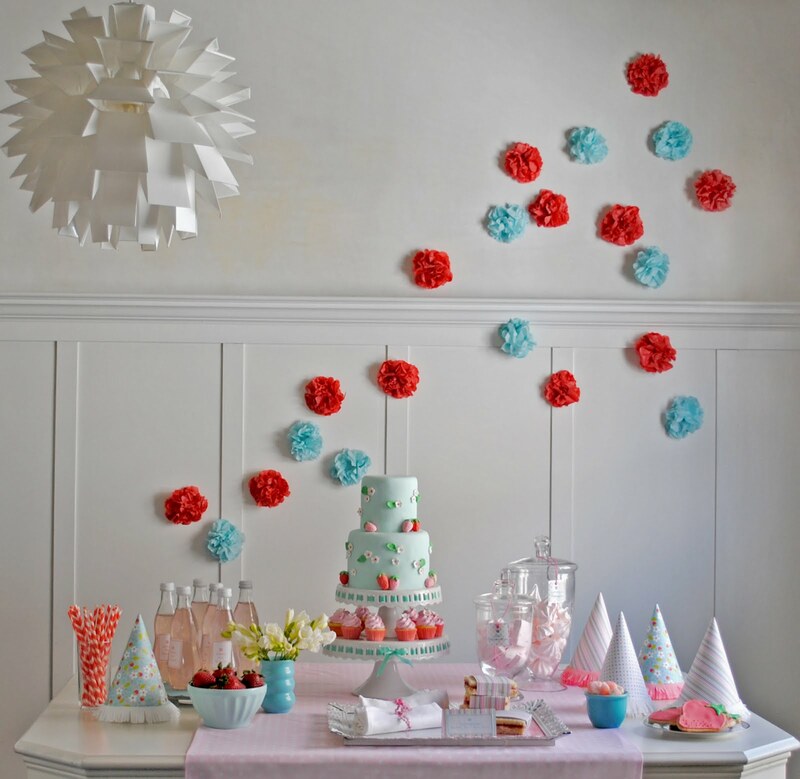 One day I hope to do it for a little party. Thank you so much! 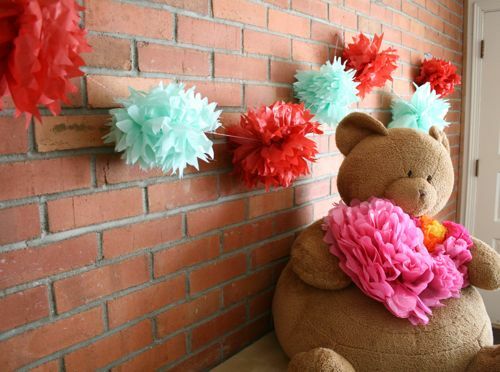 I was wanting to hang these for my daughters first birthday, and I thought "I've got to be able to make them myself." Now I know exactly how! Love the brown and pink nursery.... do you by chance know where the crib bedding is from?